will be a signicant issue for all daily users. 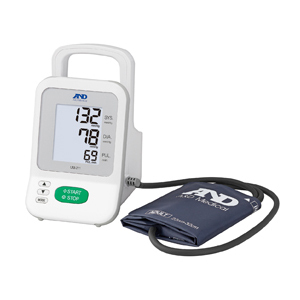 professional blood pressure monitors, the UM Series. chlorhexidine gluconate and benzalkonium chloride). The newly designed professional cuff of the UM-Series ranges from SS to LL (5 sizes), 12cm to 50cm for the arm circumference. to carry from room to room, patient to patient. 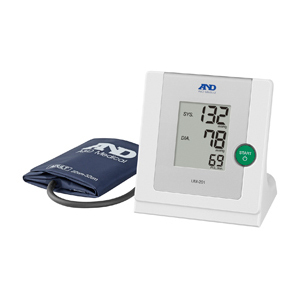 In 2005, A&D developed the world’s first hybrid* traditional style sphygmomanometer. required durability for hospitals and maintain an aordable price and simple operation. 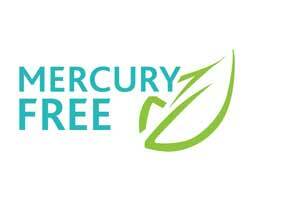 use and save lifetime cost in the long term. 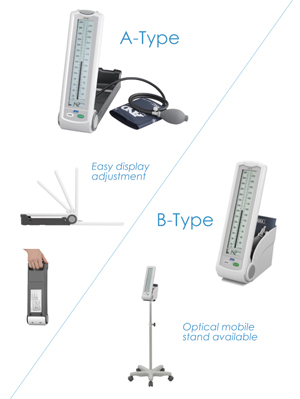 UM-211 is designed for multipurpose use in hospitals. 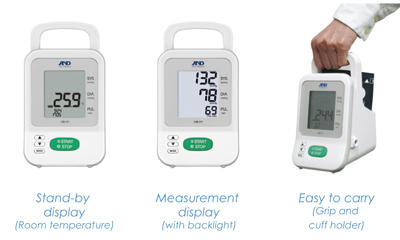 This model is available for dual measurement mode, auscultatory mode with use of the stethoscope and oscillometric mode. UM-211' s auscultatory mode is designed for daily and frequent use. Selectable deflation speed (2.5mmHg /sec. or 5.0mmHg / sec.) and quick start for auscultatory mode are features ‘Only from A&D'. Regarding the release time of the SS-Cuff, please contact either your authorized dealer or A&D.